We are so proud, grateful, and humbled by our community. Two weeks ago, we came to you asking for your help bridging a significant budget gap of $50,000 for our 2019-20 fiscal year, and you showed up in a big way! Pledge increases rolled in, anywhere from $60 to $1,000, from member after member. Encouragement and well wishes rolled in from those who were already giving all they could. We were reminded by this generosity that we can accomplish amazing things together, and together we raised $40,000 toward our budget gap in a little over a week. WOW! Thank you from the bottom of our hearts for your gifts, and for being a community that shows up for each other and the work that we share. Because of your generosity, our staff and treasurer were able to sit down on Friday, April 12, and create a draft budget that has been trimmed, but that has avoided painful cuts. If you are still planning on increasing your pledge to this amazing community, you can do so by completing the form below. We look forward to a profound year of speaking hope and sharing love together, funded by our shared generosity. You must click the SUBMIT button above to complete your response. You will be redirected to our home page after doing so, and you will receive an email confirmation of your response. UUCC will hold a community garage sale from 7 a.m. to 1 p.m. on Saturday, May 18, 2019. Proceeds will benefit the church’s general fund. For more information, contact Qhyrrae Michaelieu at 573-657-0231 or by email. In April Green Sanctuary Team members will be bringing a bit of nature into the sanctuary each Sunday to remind us all that we are part of an interconnected web of life that includes flowering plants, which bring us joy and beauty. Take a moment to notice the gifts of nature! Please join us for our annual service on April 28 to consider our place in that web. We continue our partnership with the Missouri Rural Crisis Center (MRCC) to try to protect water and air in Missouri. Large confinement animal operations from Iowa and Illinois are looking to move to Missouri, having polluted the groundwater and created problems with disease and antibiotic resistance there. The only tool Missouri’s rural residents have to minimize these impacts is the county-level health ordinances adopted by about 20 counties in Missouri. Unfortunately, the legislature is moving to make those self-determined protections illegal. If you are interested in protecting water and air in Missouri, or are interested in animal welfare issues, or in the quality of life of our rural neighbors, check out the GS bulletin board for more information. Some of us participated in a Lobby Day at the capitol last month. 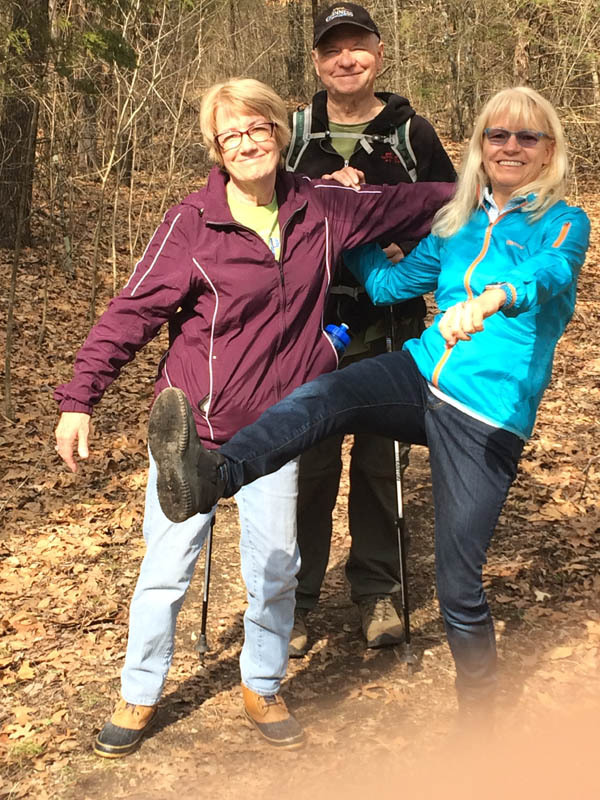 There is another scheduled April 29, and we would welcome other UU participants! You can also help by donating to the Faith-to-Action collection benefiting MRCC at the April 28 service. Want to learn more and get involved? Our next meeting will be at the church from 7 to 8:30 p.m. April 4. For more information, email Ellen Thomas or Lisa Fritsche. It is especially important to know if childcare is needed. On April 2, 9 and 16, Rev. Molly will facilitate discussion of Emergent Strategy by Adrienne Marie Brown. At a time when racial justice, environmental justice, and economic justice are seen as issues competing for time, attention, and resources, Justice on Earth explores the ways in which the three are intertwined. Those on the margins are invariably those most affected by climate disaster and environmental toxins. The book asks us to recognize that our faith calls us to long-haul work for justice for our human kin, for the Earth and for all life. It invites us to look at our current challenges through a variety of different perspectives, offers tools to equip us for sustained engagement, and proposes multiple pathways for follow-up action. Our Social Action Team encourages everyone to consider supporting the Community Bail Fund established by Race Matters, Friends. The group completed its first bail-out recently. Read more about the Bail Fund. You can also contribute to the fund on the Race Matters, Friends website. We have been studying “loaded words” this year, and the loaded word for March 2019 is “salvation.” What does it mean to be descended from historic Universalists who believed everyone is saved, historic Unitarians who believed that we save ourselves, and historic Humanists who believed that we never needed saving in the first place? Because snow forced cancellation of church activities on March 3, 2019, we had our first live-streamed “virtual worship service” as Rev. Molly Housh Gordon explored these questions in a Facebook video now posted below. This video is also posted on a separate video page for long-term preservation. 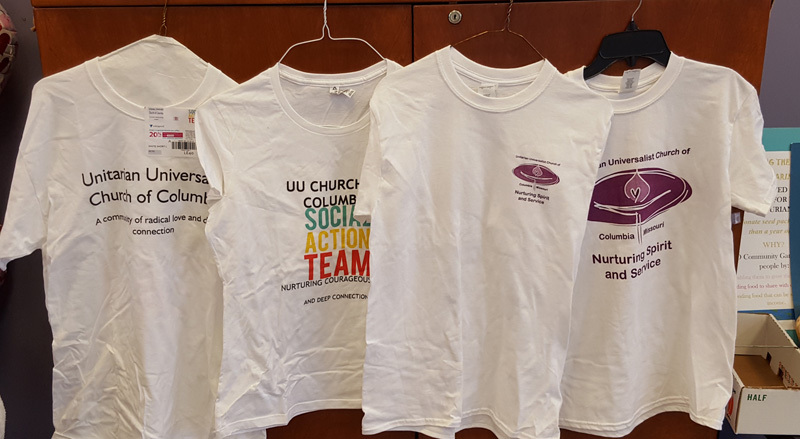 After a two-year lapse in the availability of UUCC T-shirts, the UUCC Social Action Team now has three designs of T-shirts available for purchase at $20 apiece. The shirts are perfect for rallies and other activities and events. Look for them in the Greeting Area. 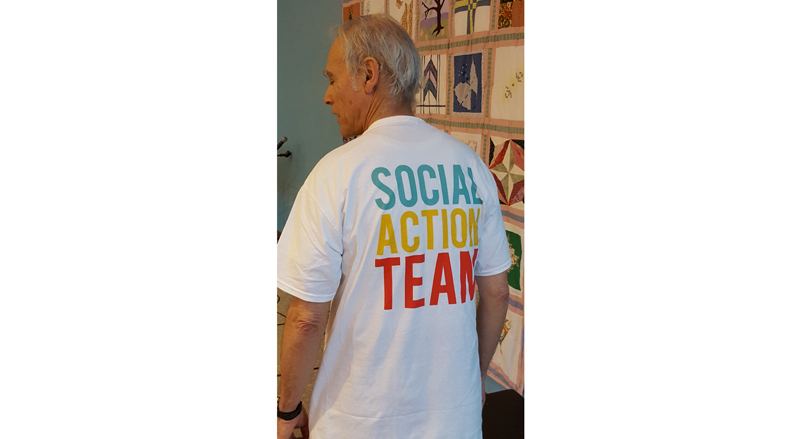 The other two designs are specific to the Social Action Team. You can see the shirts in the photo slideshow below. Click the arrows to see the next or previous photo. 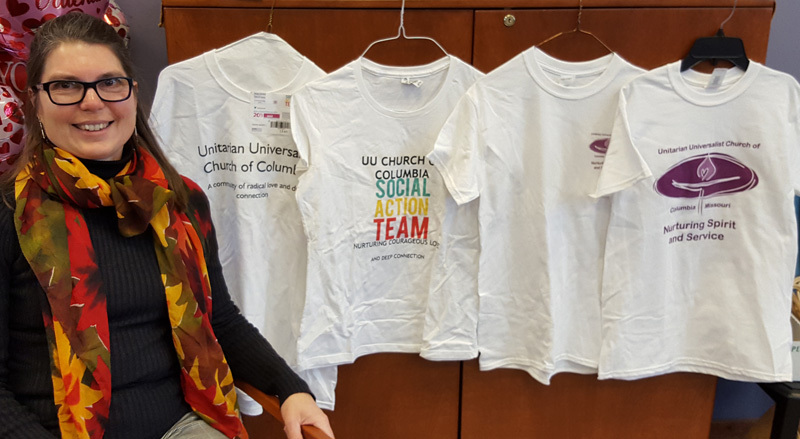 The Social Action Team (SAT) has a variety of UUCC T-shirts available. Allie Gassmann is one of the SAT members selling the shirts. From left, Allie Gassmann, Caya Tanski and Fred Young modeled some of the shirts available. 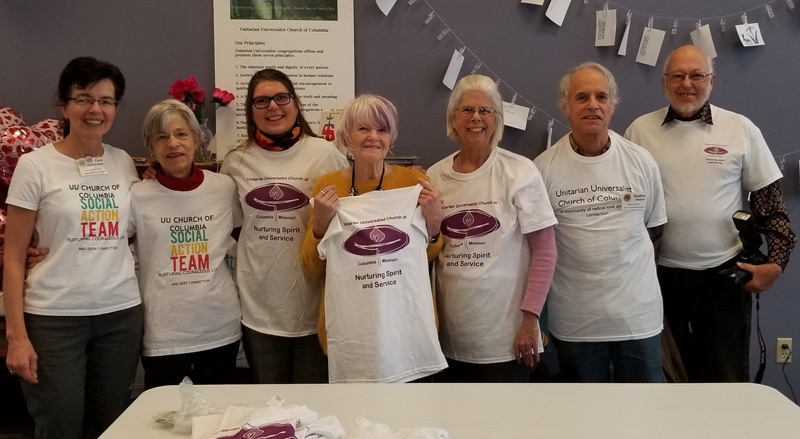 Showing off their UUCC T-shirts, from left, were Caya Tanski, Sarah Wolcott, Allie Gassman, Desi Long, Joan Mudrick, Steve Mudrick and Andrew Twaddle. Alan Arnold was a satisfied T-shirt customer. 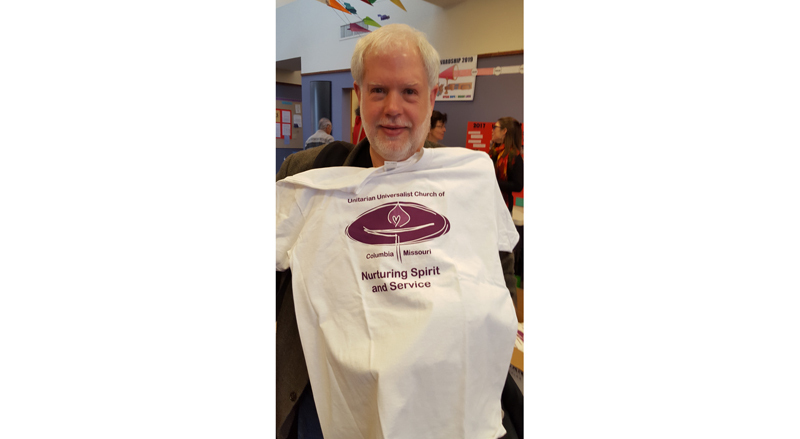 Steve Mudrick modeled the front of his new T-shirt. Steve Mudrick showed off the back of his shirt. The Unitarian Universalist Association has joined 42 other national organizations in opposition to “Project Blitz,” a coordinated national effort to enshrine Christian nationalism in state laws across the country. Project Blitz promotes a three-tiered framework of legislation aimed at incrementally redefining religious freedom and tearing down the separation of church and state, with each tier laying the groundwork for the next. The 116-page Project Blitz “playbook” has been distributed to about 750 state legislators nationwide. View the playbook. In 2019 Missouri appears to be one of the states where the first tier of the evangelical effort is being promoted – House Concurrent Resolution 13 and Senate Concurrent Resolution 13, which are identical, urge teaching Bible classes in public high schools with language that mirrors many of the points outlined on page 30 of the Project Blitz playbook. On Jan. 28, President Donald Trump tweeted support for Project Blitz’s push to have “Bible literacy” classes taught in public schools. The Faith Voices of Columbia Moral Agenda 2019 was unveiled at a press conference on Feb. 4, 2019 and presented to the Columbia City Council the same evening. Read about the press conference and see a photo in The Columbia Missourian. Our minister, the Rev. Molly Housh Gordon, was one of the spokespersons for Faith Voices of Columbia. Read the Moral Agenda (PDF). Our Social Action Team voted at its January 2019 meeting to endorse the Moral Agenda. Our Honduras ministry was featured in a recent article in The Columbia Daily Tribune written by UUCC member Wayne Anderson, who writes a regular travel-related column for the newspaper. Discern the desires of the Congregation regarding changes to and/or expansion of our current church facilities. Research practical solutions to meeting these desires, including the possibility of relocating or adding satellite location(s). Present to the Board at least three well-researched options for meeting the congregations’ aspirations regarding our facilities. Did you know that unlike many churches, our membership has been steadily growing for the past decade? Did you know that it has been two decades since the UUCC has undergone a major renovation/expansion project? The presentation continued with some of the highlights of our congregation’s history, from its founding in 1951 to purchase of the land and construction of the original church on this property in 1970, followed by the hiring of our first minister in 1980. Our second minister, Rev. Haney, served from 1989-2009. In the 1990s we hired a church administrator in 1992, followed by our first director of religious education in 1995. A major renovation/expansion to this building was completed in 1998. We called our third settled minister, Rev. Molly, in 2012. We added solar panels to the building in 2014 and made other changes to reduce our carbon footprint by more than six tons per year, resulting in annual savings of $2,500 on our electric bill. At the present time, there seems to be a consensus that there is a need to address some deferred maintenance items (e.g., carpeting, resurfacing of parking lot, two old AC units) along with the long-time unmet need for an elevator. The cost of these items ($130,000-150,000) could probably be addressed relatively easily with a modest capital campaign. However, our present facility has some additional shortcomings that may limit our growth and our ability to meet our mission and vision for ourselves. Based on our current membership of 280 and anticipated growth over the next decade, it seems likely that our current sanctuary’s seating capacity of approximately 145 seats will regularly be exceeded, even with two Sunday services. Other important facility shortcomings have been identified by our staff and members, including: The need for more office space and storage space; possible conversion to a commercial kitchen; expanded parking; and expansion in size and number of meeting rooms. Tackle the immediate needs and put off other shortcomings until later. Relocate to another facility and/or build a new facility at a new and more central location. Renovate and expand the current facility. Option 1 would be do-able for about $150,000 and could be completed in about one year. Option 2 is likely to cost $4-8 million and would require that we find a buyer for our current facility, which is unlikely. However, we plan to have a local commercial realtor keep us informed about potential properties in and around the city of Columbia that might meet our needs. Option 3, a significant expansion and renovation of the current facility, might be achievable with a $1 million capital campaign along with a $1 million mortgage. The next step in this process is to work with a local architectural firm to begin a long-range planning process to help our congregation plan for its future. We will also be taking advantage of free consultants from the UUA to help us plot out a responsible path to move forward. We welcome your questions and comments. Please consider addressing the specific questions below on the church website – Building Needs Feedback Form. Your responses also can be submitted anonymously on paper to the Church Administrator (in her mailbox or under her office door). How do our current facilities meet your needs? How do they not? What do you think we need in order to provide the kind of ministry you would like to see? What do you see as our most pressing building need right now? How do you think we could enhance our ability to provide a moral beacon to Columbia? If we were to make changes to our facilities, what improvements would you like to see? What would you like our congregation to look like in five years? We invite all church members and all friends who have an interest in social justice issues to join our Social Action Team to help us shape and strengthen our work. Direct Service (e.g., Loaves and Fishes, Room at the Inn). Fundraising (e.g., through Faith-to-Action offerings, fundraisers such as the Honduras Trivia Night, sales of artisan crafts, and more, to support social justice work). Education (learning about systems of injustice, our role in them, and how to effect systemic change). Community building and deep connection (to sustain ourselves in the work, but also to create the world we want to see). 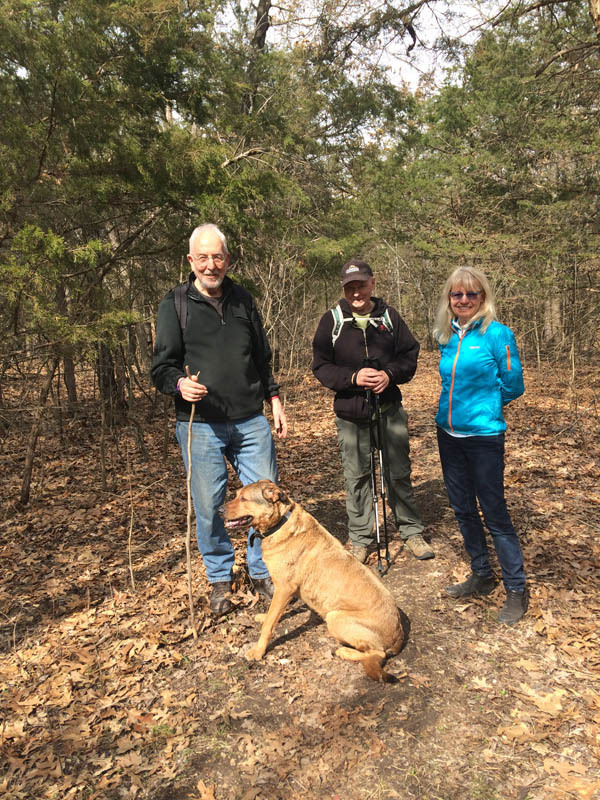 Besides joining the SAT itself, we encourage participation in any of our subcommittees or other teams such as the Sanctuary Team, the Missouri Faith Voices work, or the Green Sanctuary team. Together we create the change we want to see while being who we want to be in the world. We welcome your comments, suggestions – and of course action items. UUCC members and friends donated to and walked in the successful 2018 CROPwalk to raise funds for hunger relief in Columbia, the United States and the world. The Church World Service event took place at Stephens Lake Park on Sept. 23. At last count more than $18,000 had been raised. One-fourth of the money will stay in Columbia and go to various food pantries, St. Francis House and the Columbia Center for Urban Agriculture. Gassmann, Peter Holmes, Sibylle Hoeschele and Wiley Miller. The next MidAmerica Region assembly in St. Louis April 5-7, 2019. The next UUA G.A. in Spokane, Wash. June 19-23, 2019. Church members interested in being delegates should email Nominating Committee Chair Todd Iveson. The committee submits delegate nominations to the Board of Trustees, which selects delegates. For more information or to join the DAT, email chair Steve Scott. I am very pleased to introduce to you our next Church Administrator, Suzanne Clark. Suzanne has recently returned to Columbia after a number of years residing near family in Rochester, NY. She spent the last 15 years working at Temple B’rith Kodesh, a Reform synagogue in Rochester, where she performed administrative duties as assistant executive director. Congregational life and the rewards of working with a community were main motivators for her in applying for the position with us. She is looking forward to meeting everyone and adjusting to a new working environment. Suzanne will start Monday, Sept. 17, and work with retiring Administrator Kathie Bergman for the next two weeks learning the ropes. Kathie’s official retirement date is Sept. 30, although we are very grateful that she will remain available to Suzanne for a time for any questions that may come up. Save the date for Sept. 30 after church to celebrate Kathie’s long and wonderful tenure, and get excited to welcome Suzanne warmly among us! I am very pleased to introduce to you our new Intern Minister, Alexis, who will be working with us part-time for the 2018-2019 and 2019-2020 church years as a part of her formation as a Unitarian Universalist minister! I am so excited for us to become a teaching congregation – I know that Alexis and we, the congregation, will learn so much from one another. Alexis will be here on Sunday for our Water Ceremony Ingathering to begin to meet you, and she will begin her work with us the following week. Please join me in giving her a warm UUCC welcome! Alexis is a candidate with the Unitarian Universalist Association. She is starting her first year of part-time supervised ministry with us and her second year of seminary as a long-distance student at Phillips Theological Seminary, a progressive Disciples of Christ seminary in Tulsa, Okla. She lives in Jefferson City with her husband and their 10-year-old son. Alexis has experience facilitating worship and small group ministry as a lay leader at the Unitarian Universalist Fellowship in Jefferson City, speaks regularly at the Unitarian Church in Quincy, Ill., and is very grateful for the opportunity to learn from and serve this congregation. Alexis is a member of the Unitarian Universalist Ministers Association, the Unitarian Universalist Membership Association of Membership Professionals, and attended Midwest Leadership School in 2016.
of this short video, they are seen on their first pass through the convention hall. After the transition, they are seen on their way out of the hall. 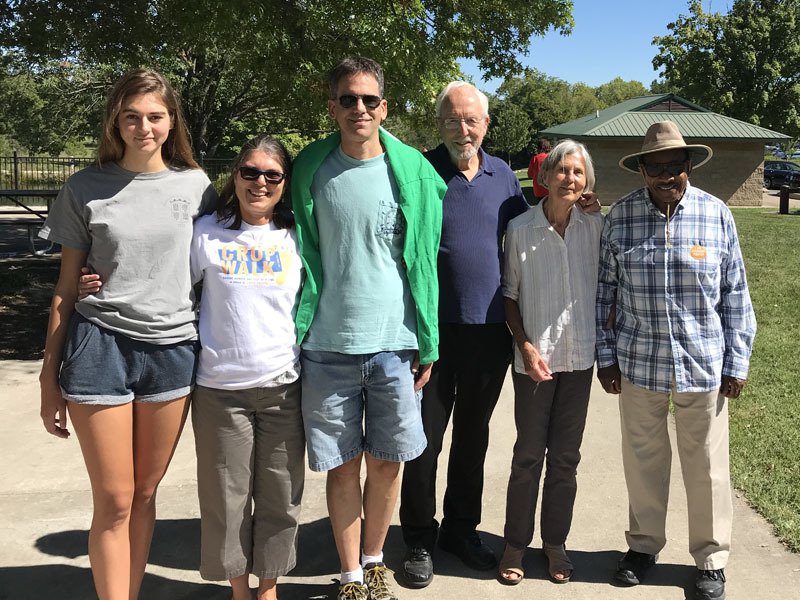 The Unitarian Universalist Association General Assembly was held this year from June 20 to 24 in Kansas City, Mo. What is GA? It’s part inspiration and spiritual sustenance. It’s an opportunity to mingle with UUs from all over the country and some other countries and engage in issues important to our UU faith. But also, it’s a time to conduct a lot of the business of the association. This year there were 2,814 registered attendees, including 134 youth. 522 congregations from all 50 states, D.C., Puerto Rico, the U.S. Virgin Islands, and Mexico were represented by 1,570 delegates, including 199 off-site delegates. Our voting delegates this year were Rev. Molly, Todd Iveson, Peter Holmes, Gretchen Maune, Connie Ordway, and Steve Scott. About 15 other members of our church also attended all or part of GA, and a number of them served as volunteers performing various tasks to keep the show running, in exchange for which they received free registration for GA. For example, Maria Oropallo and Kathie Bergman staffed an information booth to answer questions from attendees, and Larry Lile assisted with the tech staff that provided audio/video services. The business of the General Assembly takes place in General Sessions. All registered attendees are welcome at these sessions, but only voting delegates can vote. At the business sessions there was broad consensus for aggressively challenging the criminalization of migrants, people of color, and indigenous people. Delegates overwhelmingly selected “Undoing Intersectional White Supremacy” as a multiyear Congregational Study/Action Issue. Delegates also endorsed three Actions of Immediate Witness, which all emphasize the urgency of supporting people of color and indigenous people. 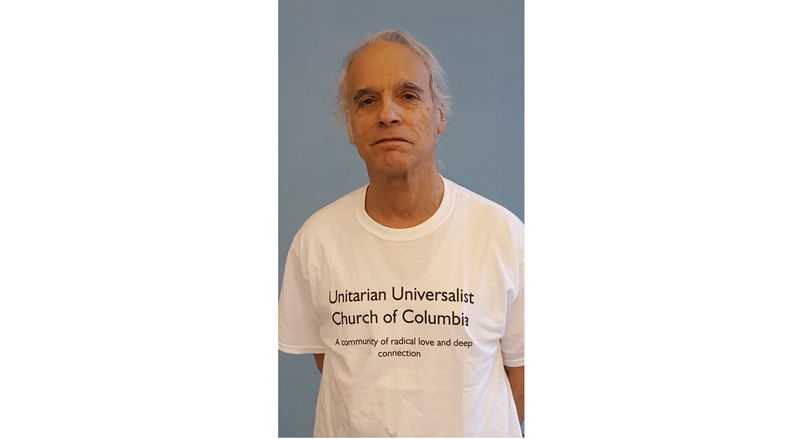 The first calls for congregational action to draw attention to predatory medical fees charged to incarcerated people, who are disproportionately people of color; the UUA’s Church of the Larger Fellowship developed the resolution in partnership with its 870 incarcerated members. A second resolution pledged solidarity with indigenous “water protectors,” who have been fighting the placement of liquid natural gas pipelines near Native American lands and who face federal charges for disrupting construction of the pipelines. 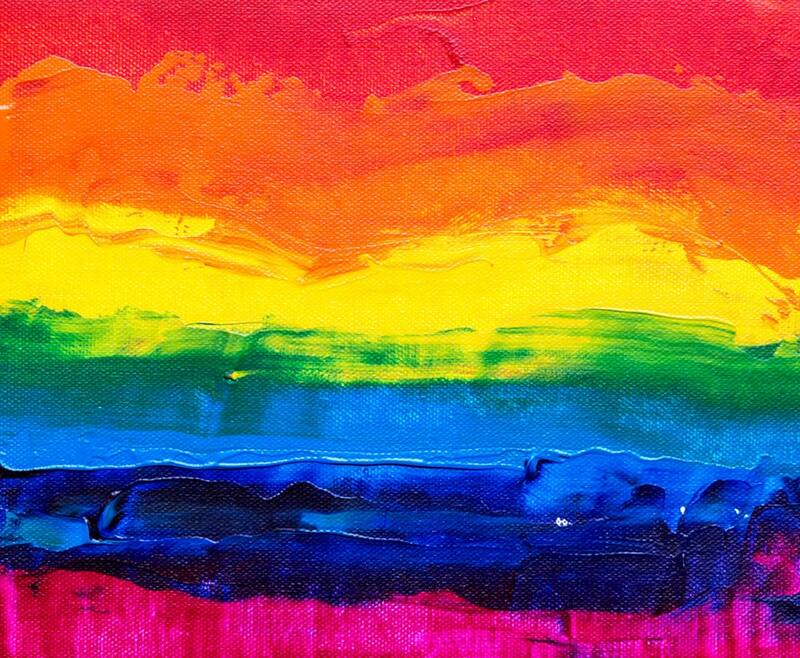 Delegates also approved a group of bylaw changes to bring the UUA’s governing document up to date with current understandings of gender diversity. A proposal introduced last year to change Unitarian Universalism’s “Second Source” from “words and deeds of prophetic women and men” to “words and deeds of prophetic people” passed easily. A third bylaws amendment will allow religious educators who are active members of the Liberal Religious Educators Association to serve as voting delegates at future GAs. The assembly also approved bylaws changes adding two youth trustees to the 11 at-large trustees on the UUA Board of Trustees; allowing the role of moderator at GA to be filled by more than one person; modifying the length of terms of service on committees; and simplifying the social witness resolutions process. 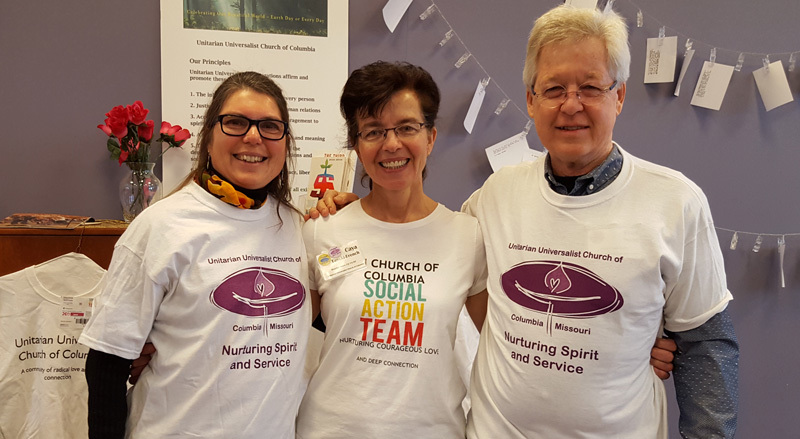 The mission of the Member Connect Program is to assist UUCC members and friends in finding their place in our church community through deeper connection, service, and spiritual exploration. To do this a team of connectors is available to have a conversation with every member of the church who is interested. These conversations will give members a chance to reflect on their spiritual journey, their connection with the church, and their level of involvement in church life. If you would like to participate in a meeting with a connector or would like to volunteer to be a connector, email Peter Holmes or Rosie Geiser. Rev. Molly lit the new chalice on Jan. 28 from a flame passed from the chalice made by Naoma Powell. Our observance of the 67th anniversary of our church’s founding at worship services on Jan. 28, 2018 included dedication of a beautiful new metal chalice purchased and given to the church by a member couple. The late Naoma Powell made the chalice we had been using since 2006 after the congregation’s previous chalice broke, and it was always intended to be temporary. Naoma’s chalice served us long and well, but was showing signs of wear. To protect this beloved artifact, it is being officially “retired” from active duty but will always have a place in our sanctuary and will still be used for special occasions. Though chalice changes, the flame burns bright. Not holder, not cup but flame that offers light. Flame that lights the darkness. Flame, in its burning, illumines night. Flame, its double halo, bringing light to shadow, warmth to shade. Our new chalice that was dedicated at the Jan. 28 worship services was crafted by Ryan Schmidt, a metal artist based in Cumberland Gap, Tenn.
Ryan owned and managed a motorcycle repair shop in Kansas City before moving to Tennessee in 2015. Shortly after moving he met a neighbor, William Brock, a traditional blacksmith who taught Ryan the art of blacksmithing. Ryan’s passion is creating custom-made functional objects, ornamental ironwork, sculptures, and furniture. He is a member of several professional blacksmithing groups. When Ryan is not creating art at his shop, Mitty’s Metal Art (https://www.mittysmetalart.com/), he likes to get out and explore the surrounding Appalachian region on his Harley or mountain bike. Ryan is not a UU but is familiar with our denomination through friends. Late last spring Rev. Molly formed a search team tasked with finding a replacement for our beloved Desi Long upon her retirement. Our immediate need – music for the summer services – was fairly easily met by our “deep bench” of volunteer musicians, for whom we are ALL most grateful! The longer-term question of how best to minister through music, to both the congregation and the larger community, was far more complex. Rev. Molly has already described much of that initial process of creating an interim period in earlier communications, so we won’t repeat them here. Suffice it to say we were most fortunate to secure Marques J. Ruff as our Interim Director of Music Ministry. It was our hope that Marques could manage the immediate tasks as well as help us articulate a clear vision for UUCC’s music program and better define the skills needed by candidates for a permanent position. Our committee met recently to discuss what we’ve learned in this first half of the church year and to review the search timeline we’d originally established. We have already seen a number of changes. Choir rehearsals are longer and performances more frequent. We have benefited from the addition of Arun Garg as our new professional accompanist for the choir and our services. Both the choir and the congregation have had a chance to experience a diverse musical repertoire. The feedback we hear is largely positive, but we still feel there is much more to learn about music and culture in our congregation – what we love, what is uncomfortable, what is possible, and more. We want to fully engage the congregation in this conversation so that we have a more complete understanding of what we are looking for in a permanent director. It is the consensus of the committee that our original timeline of one program year (about nine months) did not allow sufficient time for securing and reflecting on your input. We feel it is critically important to take the time we need to listen first, then recruit, select, and hire a permanent director that is the right long-term fit for our congregation. To that end, we must adjust our search timeline. This is also, in part, because our process is being happily interrupted by our minister’s parental leave, from the end of March to mid-June 2018. Our revised timeline extends the search process through May of 2019. That also means lengthening the interim period, allowing Marques more time to work with the congregation and with the search committee. We are very pleased to share that Marques has agreed to extend his engagement with us through May 2019. As previously stated, the interim director is not eligible to apply for the permanent position. And we are sure that Marques will be off to impressive new adventures when his degree program ends in May of 2019. Key points in the revised timeline appear below. We have tentatively scheduled two congregational conversations to inform our search. One will occur in February and another in March. Our topics will include your present experiences and future dreams for music at UUCC. You’ll receive more detailed information shortly! If you have any questions or concerns, please feel free to contact any of us. Do you do online shopping at Amazon? If so, your purchases can now benefit our church with a contribution from Amazon of 0.5% of the purchase price. 1. In your browser, go to https://smile.amazon.com. 2. Sign in using your normal Amazon username and password. 4. In the bottom of that box, where it says “Or pick your own charitable organization,” type “Unitarian Universalist Church of Columbia” in the box and click the “Search” button. 5. Next you will see a screen showing our church with the location listed as “Columbia MO,” and there may be other churches listed. Click the “Select” button next to our church’s name. 6. Finally, you will see another screen with a checkbox to indicate that you understand that you must always start at https://smile.amazon.com to support our church. After clicking the checkbox, you can click the “Start Shopping” button which will take you to the main Amazon screen. A tutorial covering the above steps and including screenshots is available in a printable PDF. In the future, always start your Amazon shopping at https://smile.amazon.com so that your purchases will benefit UUCC. You will find all the same Amazon products and prices there as regular Amazon. Tip: If you have set up a bookmark or favorite for Amazon, be sure to change it to the new address. Finally, don’t forget that you can also donate to UUCC when you do grocery shopping at Schnucks – read more. Allie accepting award. Click to enlarge. UUCC was given an award recognizing our social action work and Rev. Molly’s exemplary leadership in social action – particularly our sanctuary work – at the annual dinner of Mid-Missouri Peaceworks on Saturday evening, Nov. 11, at the Missouri United Methodist Church. Allie Gassman of our Social Action Team accepted the award on behalf of our church. The framed award certificate, shown in the photo below, is on display on the credenza in our Greeting Area. Please welcome our new Sunday Morning Assistant, April Rodeghero, who began her work with us in October. April is mother to a seven-year-old and to one-year-old twins. She has worked with MU Adventure Club, Missouri Afterschool Network and the Columbia Housing Authority. Now she works as a postpartum doula, supporting parents in their new roles. She has attended UUCC occasionally in the past year or so. April will welcome your friendship and your help in the church kitchen – especially on potluck days for setup and cleanup! 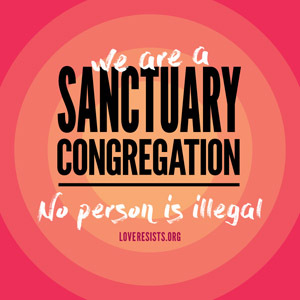 Please let’s show April our radical welcoming spirit! I am very pleased to introduce to you our new Interim Director of Music Ministry, Marques Jerrell Ruff, who will be working with us for this transitional year beginning Sunday, August 20, 2017. Marques comes to us fresh off of several years touring as a member of the Grammy-winning vocal ensemble Chanticleer. A graduate of Central Connecticut State University with a degree in music, he is excited to begin his Master of Music in Choral Conducting at Mizzou this fall! A lover of classical, jazz, gospel and show tunes, Marques is also a writer and rather good amateur chef. When not listening to and/or creating music, he can be found enjoying nature, new restaurants, and falling down the hole that is video suggestions on YouTube. Our search team was especially impressed by Marques’ excellence across an extremely wide variety of musical styles, and we are excited to see how he helps our congregation grow musically, as we dream together about our long-term musical hopes and goals. Rev. 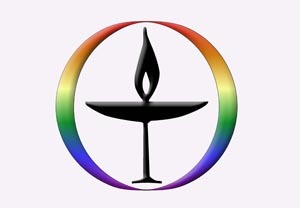 Susan Frederick-Gray was selected by delegates as the first elected woman President of the Unitarian Universalist Association at the June 21-25 General Assembly in New Orleans. She had been the lead minister of the UU Congregation of Phoenix, Ariz., where she became well known for her work on behalf of immigrants, since 2008. Read more. More than 4,000 UUs attended G.A., including some 1,800 delegates from more than 500 UU congregations. UUCC’s delegates were Rev. Molly Housh Gordon, Patty Daus, Tracey Milarsky, Jeanne and Dennis Murphy, and Gena and Steve Scott. Also attending from UUCC were DRE Jamila Batchelder along with four YRUU members and one 9-year-old. The young people carried our UUCC banner in the banner parade at the opening celebration on June 21. Five of our young people lined up to carry our UUCC banner in the banner parade at the UUA General Assembly. See them in action in the video below. Our UUCC banner was carried by five of our young people in the banner parade at the Opening Celebration of the UUA General Assembly (G.A.) in New Orleans on June 21, 2017. In this short clip they are seen entering the Great Hall of the New Orleans Convention Center and later proceeding out of the hall. Read more about the many important actions taken by delegates and the UUA Board of Trustees at G.A. Our Social Action Team sponsors a food collection year-round for the Food Bank for Central and Northeast Missouri. Donations of canned meats and fish, stews, peanut butter and powdered milk are especially appreciated, but other non-perishable food items are welcome. Help us to help individuals in need! If you wish to have a receipt for a tax deduction, talk to Suzanne Clark, church administrator. Shoppers – support the church with your purchasing power! Ask for a My Schnucks card at the Customer Service counter. When next at your computer, go to Schnucks.com. Hover over the “Programs” menu and select “Schnucks Fundraising” from the drop-down menu. Fill in the form to become registered. When you come to the choice of charities under “Select your school or nonprofit,” find “Unitarian Universalist-Columbia, Mo” in the drop-down list and click on the box to mark a check. That is all! Just keep your user name and password for the Schnuck’s website in case you wish to return to it. UUCC will get a little bonus every time you shop at Schnuck’s and show your My Schnucks card at the checkout.